For one special weekend in February, headphone aficionados from around the world gathered at the MASSIVE, 48-story Marriott Marquis in midtown Manhattan. All to try out the latest and greatest headphones, amps, and accessories.  CanJam isn’t just a must-visit for headphone fans. It’s Mecca, the Boston Garden, the Holy Grail, all rolled into one. This annual headphone and headphone-related technologies event, which ran Feb. 17 and 18, drew a record crowd to New York City’s Marriott Marquis Hotel in the Times Square theater district.